Leftover Easter Candy? I've got you covered. No-Bake Mondays is back with a vengeance. 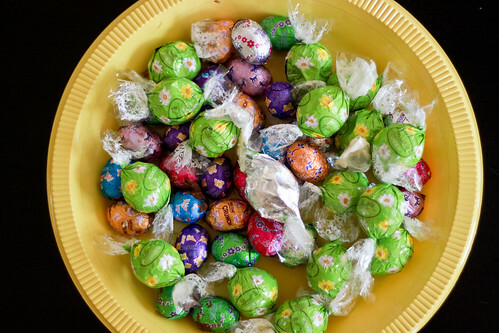 Problem: the Easter bunny left you a ton of chocolates yesterday and you have no idea what to do with all of them. Solution: get creative! You should never feel like you're "stuck" with chocolates--and don't ever let them rot in a jar for next year either. Chocolates have a life span you know, so it's better to eat them while they're still fresh. A horrid schedule, multiple projects, and a laptop mishap got in the way of my No-Bake Mondays posts the past month so here's my way of making it up to you: three no-bake recipes just for today, just for you. This is the easiest way to make use of leftover chocolate. 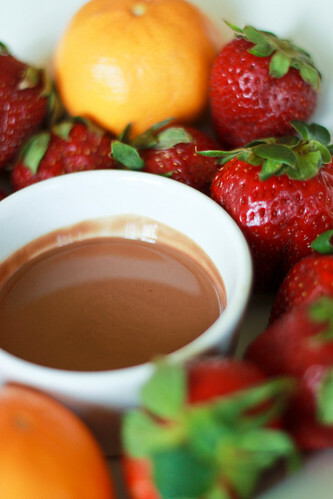 Using a double boiler or a microwave, melt chocolates in a bowl. Pick your favorite fruits and attack! We made red velvet cupcakes over the weekend (more on that later) and had some leftovers so--trifle time! This works with baked cake-y things like angel food cake or muffins. 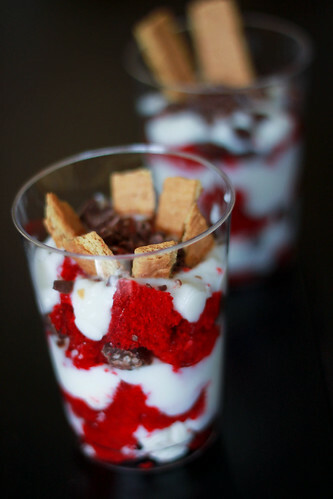 Layer a party cup with cupcake chunks, vanilla yogurt, and chunks of your leftover chocolate. Garnish with graham crackers for an extra crunch. The combination is sinful.. and kind of spectacular. This is my favorite of the three. Do you know that grocery stores charge you over $20 for chocolate-covered potato chips? I say, pfffft! You can easily make them without going over $10. Don't get ripped-off; make them at home. 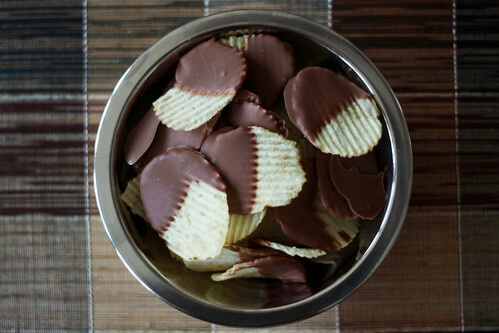 Melt leftover chocolate in a double boiler or microwave and dunk the potato chips (I used Ruffles) halfway. I used milk chocolate for this super indulgent treat and I LOVE them. Ayayay.